Luc Tieman on the last day of his trial at the Somerset County Superior Court in Skowhegan on April 9, 2018. The Fairfield man who murdered his wife and buried her in a shallow grave with a potato chip bag, his wedding ring, flowers, love notes and a bottle of men’s cologne called Guilty is seeking a new trial. Luc Tieman, 35, of Fairfield is serving a 55-year sentence at the Maine State Prison in Warren. On Tuesday at 1:30 p.m., the Maine Supreme Judicial Court will hear oral arguments in his appeal at the Cumberland County Courthouse in Portland. A jury deliberated for 40 minutes on April 9, 2018, before finding Tieman guilty of shooting Valerie Tieman, 34, to death in August 2016. Clifford Strike, Tieman’s attorney for the appeal, argued in his brief that Facebook messages between Valerie Tieman and a Facebook friend, Torie York, telling the victim that her husband was having an affair should not have been admitted as evidence for the jury to consider. “The conversation should have been excluded because it was not with a close friend or family member, did not discuss future plans, and occurred on a social media platform that can be accessed from any device and by any person with the correct login information such that the true sender of a message should be adequately verified to prove the conversation occurred in circumstances that indicate truthfulness,” he said, citing a previous decision by the state’s high court. Assistant Attorney General Leanne Robbin said in her brief that the messages were properly obtained from Facebook and authenticated by York. “The court correctly determined that the messages were admissible to prove Valerie’s ‘existing state of mind and emotion’ which made it more likely that Valerie and Tieman would have been in conflict on the night of her murder,” she said. Strike, a Portland attorney, also argued that there was not enough evidence to convict Tieman of murder. 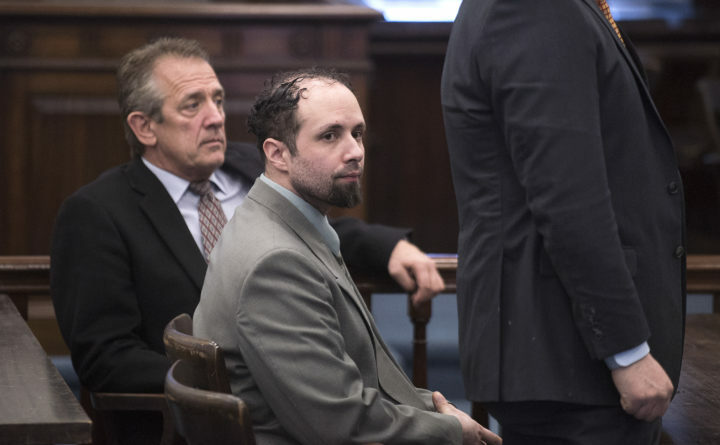 “The inability of the state to conclusively eliminate the other Tieman men from the DNA evidence on the murder weapons raises concerns about the level of certainty with which [Tieman] can be considered to have killed his wife,” Strike said. Valerie Tieman’s body was found Sept. 20, 2016, in a shallow grave on wooded property owned by Luc Tieman’s parents, according to trial testimony. Her parents reported her missing Sept. 9, 2016, after they had not heard from her in a month. Tieman initially said she had disappeared from a Walmart parking lot, according to trial testimony. He later said she had left him for another man. Tieman also helped police search for his missing wife. Evidence at the trial showed that Tieman had a new girlfriend and planned to move in with her.